Do we really need animals for meat production? More specifically, what is stopping us from rebuilding meat sourced from the amino acids, lipids, and carbohydrates of plants rather than animals? 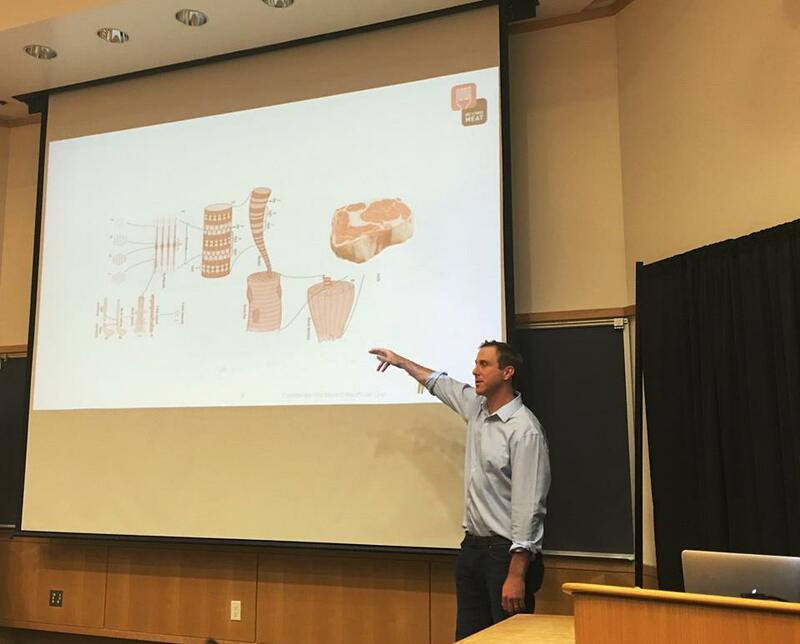 As he explored these questions, Ethan Brown became convinced that a simple change in the origin of the 4-5 ounces of protein at the center of our plates could simultaneously serve as solutions to widespread issues of human health, climate, natural resources, and animal welfare. In 2009, Ethan founded what is now Beyond Meat. Ethan will give a presentation about his company and the future of protein. You don't want to miss this talk! He is fortunate to count among his partners/investors in the business: The University of Missouri, University of Maryland, Kleiner Perkins Caufield & Byers, The Obvious Corporation (Biz Stone & Ey Williams), Bill Gates, Seth Goldman, and others. Ethan holds an MBA from Columbia University and an MPP from the University of Maryland.